Is Nordic American Tanker Ltd (NAT) A Good Stock to Buy? Nordic American Tanker Ltd (NYSE:NAT) shares didn’t see a lot of action during the third quarter. Overall, hedge fund sentiment was unchanged. The stock was in 13 hedge funds’ portfolios at the end of September, same as at the end of June. The level and the change in hedge fund popularity aren’t the only variables you need to analyze to decipher hedge funds’ perspectives. A stock may witness a boost in popularity but it may still be less popular than similarly priced stocks. 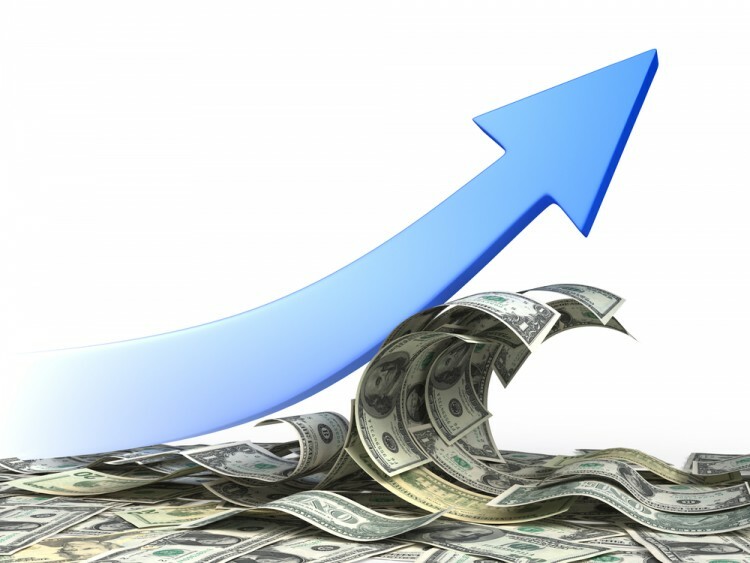 That’s why at the end of this article we will examine companies such as Monotype Imaging Holdings Inc. (NASDAQ:TYPE), Associated Capital Group Inc (NYSE:AC), and Biglari Holdings Inc (NYSE:BH) to gather more data points. How are hedge funds trading Nordic American Tanker Ltd (NYSE:NAT)? Heading into the fourth quarter of 2016, a total of 13 of the hedge funds tracked by Insider Monkey were bullish on this stock, unchanged from the second quarter of 2016. 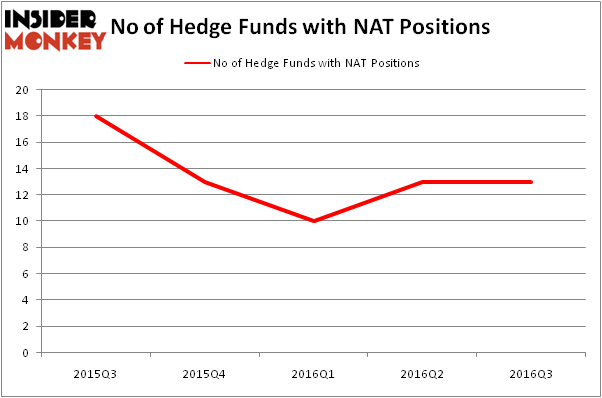 Below, you can check out the change in hedge fund sentiment towards NAT over the last 5 quarters, which has trended downwards overall, so is up by 30% over the past 2 quarters. So, let’s review which hedge funds were among the top holders of the stock and which hedge funds were making big moves. According to Insider Monkey’s hedge fund database, Laurion Capital Management, led by Benjamin A. Smith, holds the largest position in Nordic American Tanker Ltd (NYSE:NAT). Laurion Capital Management has a $30.3 million position in the stock. Sitting at the No. 2 spot is Marshall Wace LLP, led by Paul Marshall and Ian Wace, holding a $13.2 million position. Remaining members of the smart money with similar optimism encompass Israel Englander’s Millennium Management, Daniel Gold’s QVT Financial, and Robert Vollero and Gentry T. Beach’s Vollero Beach Capital Partners. We should note that Vollero Beach Capital Partners is among our list of the 100 best performing hedge funds which is based on the performance of their 13F long positions in non-microcap stocks. Hedge Funds Are Doubling Down On WSFS Financial Corporation (WSFS): What Do... Hedge Funds Remain Unimpressed by POSCO (ADR) (PKX) Is Controladora Vuela Co Avcn SA CV (ADR) (VLRS) Going to Burn These Hedge... Xcel Energy Inc (XEL): Smart Money Ownership Continues to Dreadfully Lag Peers... How WCI Communities Inc (WCIC) Stacks Up Against Its Peers Is Southern Co (SO) A Good Stock To Buy?